On the night of April 14, 2014, 276 girls from the Chibok Secondary School in northern Nigeria were kidnapped by the deadly terrorist group – Boko Haram. Fifty-seven of them escaped over the next few months, but most were never heard from again. A day after the kidnappings, the Nigerian military’s top spokesman claimed that “all 129 girls” except eight had been rescued, only to retract the statement a day later, still unsure about the number of girls kidnapped. The media made it seem like a big joke with their indifference and at a point people began to doubt the Chibok invasion. It was also recorded that a retired Australian clergyman was asked to come help negotiate with Boko Haram. The Boko Haram sect were willing to release eighteen – later reportedly raised to sixty – of the kidnapped girls in exchange for compensation for widows of slain Boko Haram fighters and job opportunites for their members if they surrendered. There was supposedly an appointed location for the hand-off, but Davis said he arrived hours late and by then no one was there. Doesn’t this sound like one big joke? These confusing tales portrayed by the media actually made concerned citizens doubt that the Chibok Girls were taken at all. That is why we would forever remain grateful to Helon Habila for clearing our doubts. CHIBOK HAPPENED. GIRLS WERE TAKEN. 1) The Chibok Girls will open your eyes to the Northern part of Nigeria – especially the eyes of the southerners who know little or nothing about the northern part of Nigeria. 2) Reading The Chibok Girls will help you understand the long history of colonialism in Nigeria – and the unmasking of cultural and religious dynamics – that gave rise to the conflicts that have ravaged the northern region to this day. 3) There is rot in the Nigerian system as we all know but reading THE CHIBOK GIRLS will open your eyes to more rot. Isn’t it sad that the people who are sacrificing their lives for this country are not being paid? They leave their families with little or no hope of coming back alive. The least the government can do is pay them their monthly salary. The first suicide bombing in Nigeria took place in the month of June 2011. Target was the Nigeria Police Headquarters at Abuja. Name of Bomber: Mohammed Manga. Second Bombing: The United Nations Headquarters in Abuja. A sedan loaded with explosives crashed through the gates of the compound and into the front doors before exploding, killing at least 18 people. 5) Reading The Chibok Girls will open Chibok town to you in a way that is no longer distant or devoid of human existence. 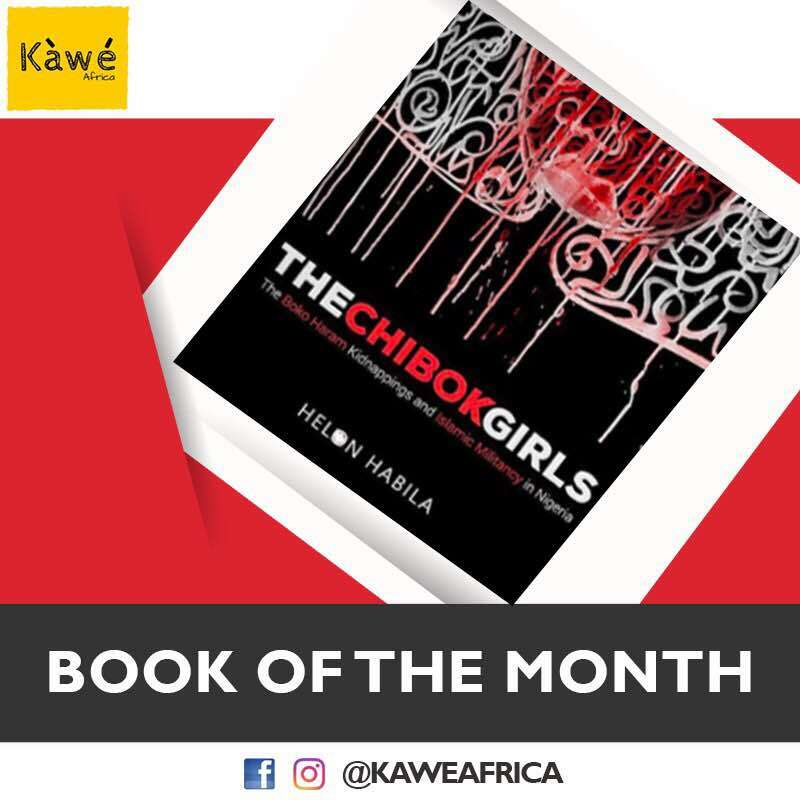 You begin to see Chibok town – albeit through the pages of this book – as a small town abounded with stories of violence and assassination, most of them related to religion or politics. 6) One needs to read this book to understand the history of violence in Nigeria. A history filled with unsolved political assassinations, palace coups, and electoral thuggery. 7) …Because REFUGEES (Internally Dispaced Persons) are going through HELL! Abbas had told me about of a camp next to his house where the refugees were completely abandoned and the street behind the camp was soon covered with their trash and excrement, flung over the wall in plastic bags. Then, suddenly (just before a senatorial election), the government remembered them and workers went to the camp and installed toilets and distributed foods. You will recall that a military jet “mistakenly” dropped a bomb inside the Rann IDP camp in Borno state leading to the death of about people with 120 injured. The bulk of the refugees came from the villages were the fighting had pushed Boko Haram. The irony was that some of these same people used to live in the cities, but they had run away to the villages which were safer when Boko Haram was mainly an urban threat. Now that Boko Haram had sacked and razed their houses in the villages, the camp was their only home. 9) Habila’s account of the Boko Haram kidnappings and Islamist militancy in Nigeria, according to THE GUARDIAN – is short and powerful! 10) It is not just an attempt to clear our doubts on the kidnap but also to honor these girls and to give them a voice. This is an important book. And YOU have to read it. We recommend!!! Have you read THE CHIBOK GIRLS? How was it? How would you briefly describe this book to a friend? Did the book pull you in? What are some of the book themes and how important were they? What three words would you use to summarize this book? Would you recommend this book to other readers? Close friends? Why or why not?